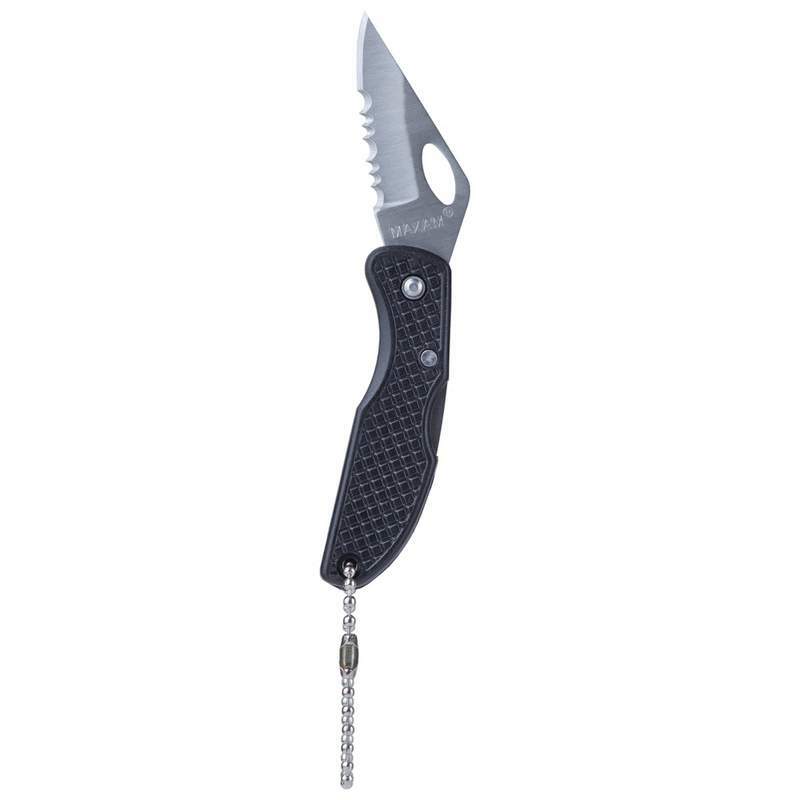 This handy knife on a key chain features an extra sharp 1-7/8", 420 stainless steel half-serrated blade to cut cord or twine easier and lightweight Leymar™ handle. The thumb hole allows one-handed opening with either the left or right hand. Measures 2-1/2" closed, 4-1/4" open. Limited lifetime warranty. Gift boxed.